I bet some of you are wondering how we started. Let me explain right here and right now. A few years back, I was considering launching my own photo booth business, but I was too busy, had a full time job and was content with the way life was, so I decided against taking any risks or starting any new businesses. One of my family members was getting married and they rented out a photo booth for their reception. I thought it was extremely poor in quality. The gentleman looked like a sleazy car salesman and his photo booth was this ugly box sitting on top of a wooden table (provided by the venue), and on top of this box was the camera which he had to adjust himself for every picture. The props looked like they were used and never cleaned. Me and my friends went through and we had a good time posing together, and we received 1 copy of the images taken. I thought to myself, “Wow, weddings are one of those once in a life time things, those moments that people cherish their entire lives, and this photo booth company made it look like it was just another function.”. At that point I took a look at the print, and the design on the print out looked like it took them 5 seconds to make, and they put no thought into it. One of my friends turns to me and said, “hey, weren’t you going to start your own photo booth business?”, at which point the owner of the photo booth interrupted us and said, ” there’s no point, I have the industry on lock”. First… who talks like that when in business and while speaking to the people attending a wedding which they were hired too be at, and second, you’re their to ensure I have a good time, not challenge me in business. And this set forth the planning and execution of a plan and ideal where people pay industry standard but receive more than they expected. 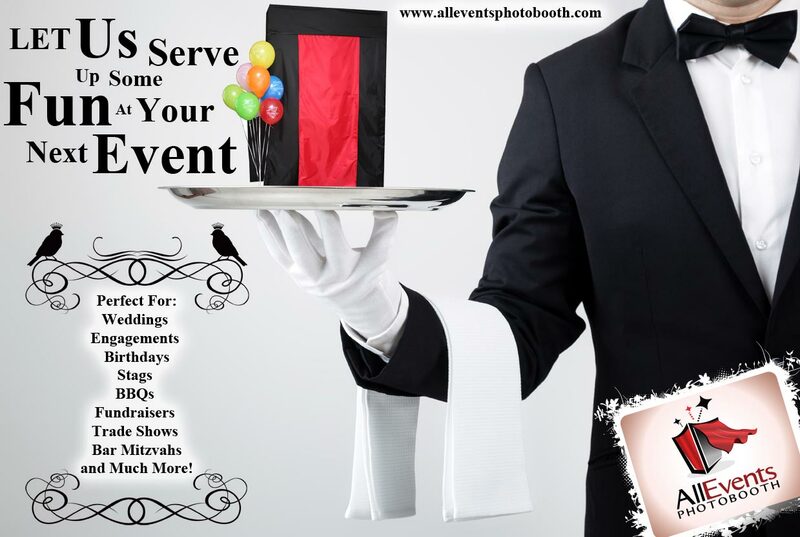 With our photo booth at your event, we are an extension of your event and therefore representatives. We must at all times provide the best possible service to ensure a level of excellence which will add to the experience and to the reputation of the individual who organized the event. Basically, provide an excellent product while maintaining a good price point, and ensuring everyone has a great time with our fun and professional photo booth attendants. We are a year old and our client list is very extensive stretching from extremely large Corporations, to small non-profits. We have received so many gifts from extremely happy brides and grooms that we have run out of space for all of them. We are now looking ahead to find new ways to further surprise our customers. 2014 will see the arrival of many new things. We will constantly come up with new ideas and ways to innovate and grow. We are willing to work with wedding planners, event coordinators, and decor companies giving everyone a customized experience. We have a few new booths and a new look for the new year which will probably cost a little more, but we will be allowing some of our clients who have booked in 2013 a free upgrade to the new system as a gift for joining us in our first year. Not to mention the 100 free gifts that went to our first 100 clients. The 1 in 50 chance to win an Apple IPAD contest that is still running until we reach our 50 people. We are constantly giving out special deals, so stay tuned on this blog for future deals, and like us on facebook so that you can take advantage of all of our deals that are exclusive to our facebook page fans! Thank you for taking the time to read a little about our start. I enjoyed babbling on and on. Take care for now, and remember to pose, smile, and have fun the next time we see you at an event!